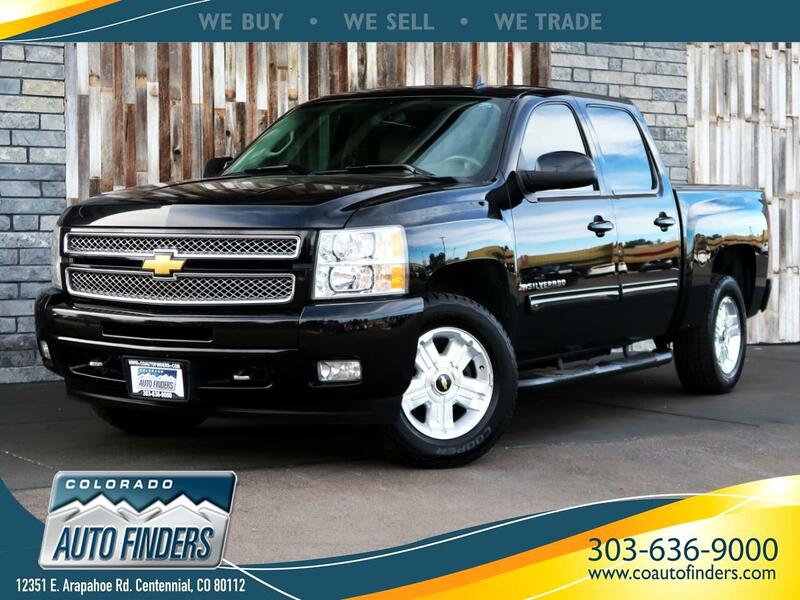 Black 2013 Chevrolet Silverado 1500 4WD Crew Cab 143.5" LTZ for sale in Centennial/Denver. This car comes with all the GREAT features you'd expect, such as Cruise Control, AUX Input, Bluetooth, MP3 Compatible Stereo, and Power Locks/Mirrors/Windows/Steering/Brakes. Other options include Automatic Headlights, Climate Control, Fog Lamps, & Steering Wheel Controls! Call us today or stop by to see this beautiful car for yourself. Colorado Auto Finders will help you get financed and we will answer any questions you may have!